HVA is proud to feature our Lockout/Tagout or LOTO valve. It is designed for applications where safety and security are a priority. OSHA’s standard for The Control of Hazardous Energy (Lockout/Tagout) requires the ability to disable machinery or equipment to prevent the release of hazardous materials during maintenance. You already know that HVA offers superior quality and integrity in all our products and services. With the LOTO option, you have an extra measure of safety and protection that is OSHA compliant under The United States Department of Labor Code of Federal Regulations Title 29. 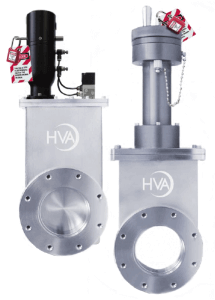 HVA’s LOTO option is available in either a pneumatic or manual configuration on the 11000 Series, 16000 Series, 21000 Series and 71000 Series valves. For additional information on LOTO or any of our products, click here or contact your local HVA Representative.